Liverpool FC should get rid off Philippe Coutinho to Barcelona and bring Chelsea striker Diego Costa, according to Phil Neville. 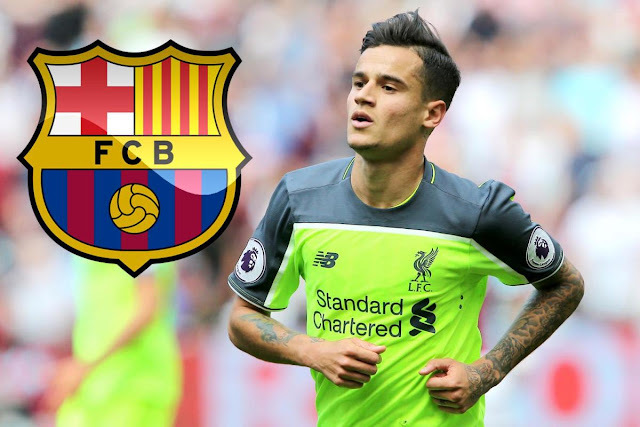 Liverpool FC have rebuffed a £90.3m bid from Barcelona for Philippe Coutinho, 25, in which is the Spanish club's second unacceptable bid to bring Brazilian playmaker to the Nou Camp. Ex-Everton and Man United defender Phil Neville suggested Liverpool manager Jurgen Klopp should think about allowing his star man to leave for Barca and replace him with signing Costa from Premier League rivals Chelsea. The 25-year-old signed a new five-year contract in January, leaving Liverpool firmly rejecting all approaches for their star player. Speaking to Sky Sports, Neville said Jurgen Klopp would be better off selling Coutinho to Catalan giants and turn his attentions on Diego Costa because the Spanish striker suits his style of football better. He said: “I think he would be good enough for Barca, I think he’s got the characteristics, skill and technique to fit in Barca's tiki-taka style of play. “But I believe for a Jurgen Klopp type side, and I felt it last season, did they miss that much when he was out? I know he scored 14 goals. However, after Liverpool rejected Barcelona’s latest bid at signing their star player, he is likely set to stay on Merseyside this summer.